As a boutique firm, we do not believe in being all things to all clients. Instead, we have chosen to concentrate in, and focus on, a highly select group of practice areas. The result is that our clients benefit from our depth of knowledge and proven success in our practice areas. Rosner Nocera & Ragone, LLP represents national and local banks and lending institutions in a broad spectrum of litigation in State, Federal and Bankruptcy Courts in New York and New Jersey. The firm handles a variety of general banking litigation, including, check and negotiable instrument cases, actions involving U.C.C. Articles 3, 4, 4-A and 9, check and wire transfer fraud, NACHA litigation, and debt work outs restructurings. 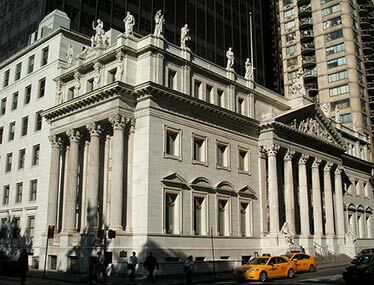 We have been designated by a top four national bank as special counsel in New York and New Jersey to handle complex matters stemming from multi-state enforcement of State and Federal Court levies, garnishments, subpoenas and legal process against banks and their depositors. The firm represents its bank clients in litigation involving ponzi schemes (including Madoff related and similar litigations), check kiting schemes, financial frauds, and similar cases. A wide array of matters are handled on behalf of the firm’s bank and lending institution clients, e.g., ranging from medium size commercial workout and collections, to a $500 million dollar litigation involving the breach of completion guaranties given by national homebuilders. Our case issues include automatic stay, cash collateral, preference and fraudulent transfer litigation. We also advise and represent our bank and lender clients in creditor committee and workout matters, and defend them in litigation involving lender liability claims/counterclaims, predatory lending, impairment of credit, check fraud and other miscellaneous lawsuits (e.g., lien priority disputes, commercial foreclosure proceedings, defense of personal injury claims, etc). We handle single or bulk loan sales for our bank and lender clients and are approved by the New York and New Jersey offices of the U.S. Small Business Administration for legal work in connection with commercial collections, liquidations, foreclosure proceedings, and mortgage originations. The firm also negotiates loan transactions for its bank and lender clients and acts as closing attorneys in the origination of SBA guaranteed loans in both New York and New Jersey. Bank and Lender Clients include: Wells Fargo Bank, N.A., Banco Popular (now Popular Community Bank), City National Bank of New Jersey, CIT Financial Corporation (and its affiliates), Ready Cap Lending, LLC, Business Lenders, LLC, Parke Bank, and Independent Mortgage Company. We have also defended the interests of several other banks through our insurance clients such as Bank of America, Bank of New York, New York Community Bank and Atlantic Bank, among others. Rosner Nocera & Ragone, LLP provides a wide range of services to its insurance clients, including the investigation, handling and resolution of complex first-party insurance coverage claims. The firm represents insurers in the areas of fidelity and surety insurance law, including financial and securities frauds, financial institution claims under blanket bonds, corporate defalcations, employee dishonesty cases and other specialty claims. The firm works hand in hand with client claim representatives, forensic consultants and other professionals in performing these services to provide advice to our insurance clients. Our insurance practice includes fraudulent claim investigations and advice on complex first-party property insurance claims, such as business interruption, loss of utilities, catastrophic property damage and other first party property claims. The firm handles litigation, arbitrations and mediations in connection with first party property insurance claims, including the defense of “bad faith” and other high profile insurance coverage litigation. The firm also represents its insurance company clients in subrogation actions, with expertise in seeking recovery from responsible third parties for damage to fine works of art, property damage and financial losses. Insurance Company Clients Include: The Chubb Group of Insurance Companies, Philadelphia Indemnity Insurance Companies, AIG, AXA Art Insurance Companies, Everest National Insurance Companies, Narragansett Bay Insurance Companies, StarNet Insurance Company, XL Specialty Insurance, Aspen American Insurance Company and Lancer Indemnity Insurance Company. Rosner Nocera & Ragone, LLP represents fine art insurers, galleries, museums, and private collectors nationally in all aspects of matters involving damage to fine works of art. This comprises the prosecution and defense of matters relating to damage to fine works of art resulting from mishandling, damage in transit, claims against warehouseman, security breaches, and construction related damage. The firm handles first-party insurance claims for damage to fine works of art for its fine art insurer clients. The firm acts as general counsel to a prominent fine art packer and shipper, and assists in addressing legal issues associated with all aspects of packing, shipping, and handling works of art and valuable articles. Rosner Nocera & Ragone, LLP also represents design professionals in providing advice and negotiating contracts for award winning clients in the architectural field, such as negotiation and drafting of contracts and royalty agreements, dispute resolution and when necessary, litigation.